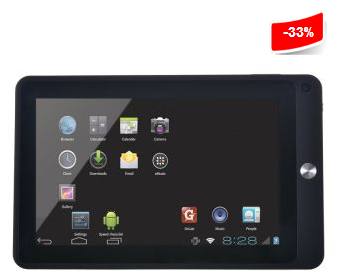 If you just want a tablet for web surfing at home, this sounds a bargain already. It got 1 year manufacturer warranty so its safe to risk that it should last for atleast a year :P Saw this product at Lazada.com.ph. I got to be honest, I'm not really sure if Coby is a good brand (haven't tried one), but I kept on seeing this brand on electronics section of Groceries and some Electronics/Home Appliances center.